Knowing when roof replacement is needed on a home can seem like a trick question for a homeowner, but there are basic signs that an aging roof shows before it starts to cause significant problems to the home. First, it is important to understand more about a home roof and what it is made of. 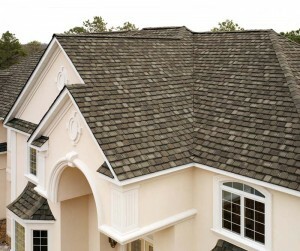 A roofing system is made up of more than roof tiles. Underneath all roof tiles is sub-roofing which is the structure that holds all the roof tiles in place and provides a sturdy base to protect the attic of a home from the elements outdoors. Part of the reason that some roofs can have damage without the homeowner knowing is in part because there is a sub-roofing system under the roof tiles. This is there to create and additional barrier on the roof and to help secure the roofing tiles to the home. While many people think the first sign of serious roof deterioration is through a leak, the truth is that an aged or damaged roof may not always show wear and tear through leaks initially. A homeowner often will see their first signs of roof problems from visual observation. Roof tiles that are deteriorating will often lift, crack and separate from the sub-roofing. Additionally, the roof tiles may buckle and bumps and ripples may become more evident. In some cases, roof tiles may come off completely exposing the sub-roofing below to the elements. These all may occur without even seeing a single leak inside the home. Usually however, inside leaks are not far behind these exterior signs. In general,older roof systems had a life expectancy of between 25 and 35 years. In the last decade much of the life spans of roofing materials has changed as the quality, type of materials and durability of roof tiles has changed significantly. By contrast, some of the premier roof tiles available today from roofing contractors can last upwards of 50 years or longer. For people who have an older roof system, it is usually advisable for them to keep a good eye out on their roofs and check them twice a year for any signs of deterioration. Once the signs of aging and deterioration of the roof tiles is observed, it is advisable to look at the potential need for re-roofing the home in the near future. It should be noted that there are occasions when a roof may suffer from some type of damage before its total life span is up. In this case, an emergency roof repair often becomes necessary. This usually happens when a small portion of a roof suffers some type of damage by a storm or has faulty tiles. Contacting a high quality roofing company can assist a home owner with getting a quick roof repair that can expand the life of the overall roof system by years. When damage does occur it is usually not advisable for a homeowner to attempt a repair on their own for several reasons, a roofer is a person who is trained not only in proper installation of roofing materials but also of maneuvering around on rooftops safely. For more information on when to replace a roof on your home please feel free to contact us for a free home roof assessment.